Wow…it’s been awhile since I posted anything! 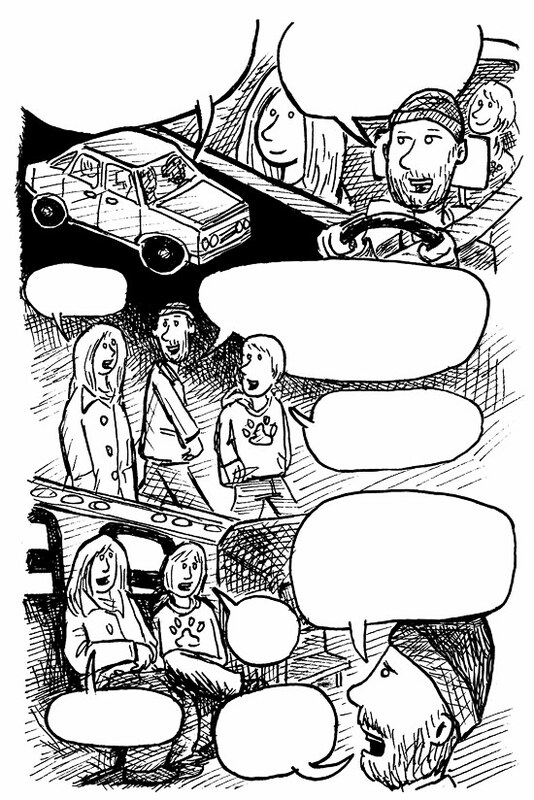 Anyway, I’m still here…and I just finished a new story for the upcoming “transportation” issue of the way-neato “Not My Small Diary” anthology comic! I was almost in the last one, about brushes with celebrity, but I lamed out. This time I did something and got it sent in about a month after deadline, but that’s better than not, right? Um, right! So: it’s a short comic, and although I’m excited to show a preview, I don’t want to give the story away, so…here are two pages, but with the dialog balloons emptied. 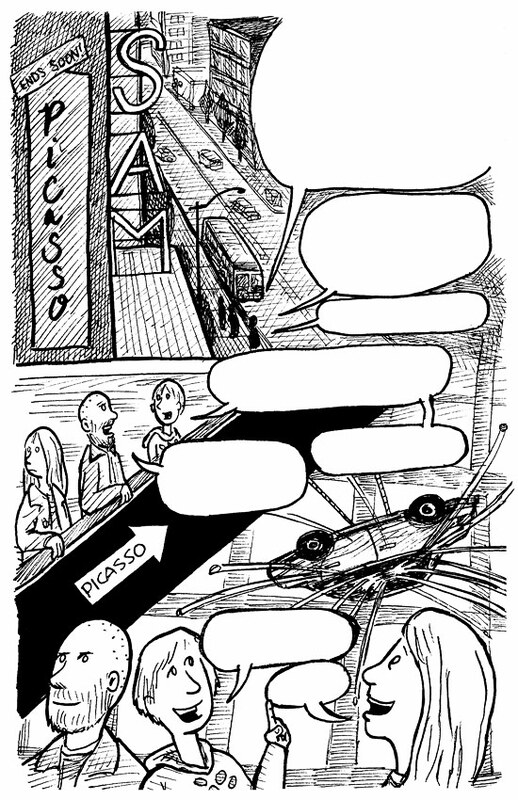 Weird, I know, but this way I can give an impression and show some of the art without spoiling the story, and I have to say, I love how comics pages look with the words sucked out of them. All those empty balloons are kinda cool. I’ll post an update when the comic is available, as I heartily recommend picking it up regardless of whether I’m in it or not. Which I am this time.